Moving back to Virginia Beach allows me to return weekly to Angie's Bakery, a Filipino bakery about fifteen minutes from my house. Among the many delicacies available, I am a big fan of ensaymada and pandesal, and every time I go to the bakery, it reminds me of my mother and my family in the Philippines. As the Philippines was once a settlement of Spain in the 16th and 17th centuries, several of the recipes have these Spanish roots. One is Ensaymada, which is a sweet bread pastry. With a cup of coffee in the morning, it is one of the best ways to start your day off. It's a fluffy concoction with a luscious buttery cream coating on top and while it's sweet, it's not rich or overwhelming. It's just perfect. 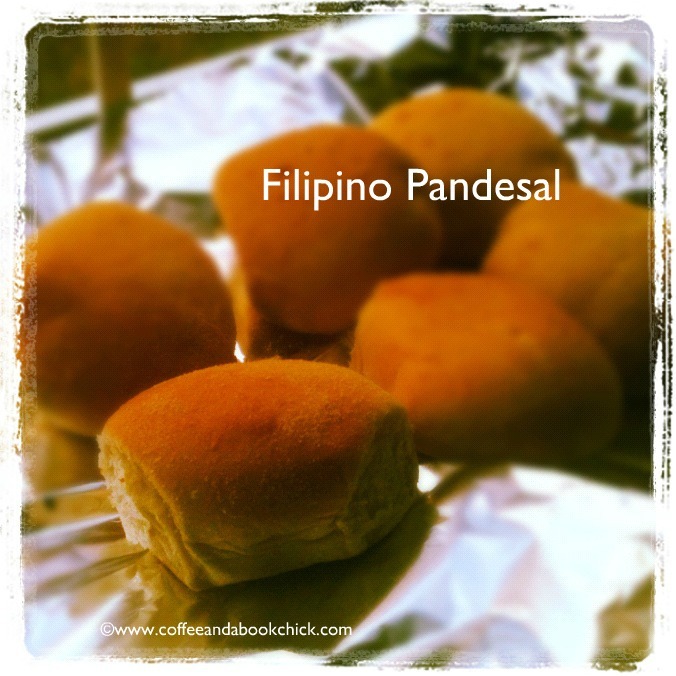 Pandesal is basically what some may be more familiar with as a breakfast or dinner roll, but it is so much more than that. It's got a hint of sweetness that adds to the flavor without making it too sweet to eat any time of the day or night. It is my absolute favorite. Angie's Bakery in Virginia Beach makes them fresh, and they have a constant stream of people walking in and standing in line to order them. They literally take them out of the oven, put them in the paper packaging and it's impossible to be on your way home without grabbing one and munching as you drive. Not to mention, your car ends up smelling amazing with the warm baked bread scent... If you get a chance, get it fresh and hot after they are pulled out of the oven. They are so soft and delicious and divine. Weekend Cooking is a feature hosted by Beth Fish Reads and is an opportunity each week to share your food love. It is open to anyone who has a food-related post to share. Whether it's a recipe, a film about food, or a book, click here to visit her site and read about the feature, and also to link your posts up each week. I'm fascinated by the Spanish influence on their food and culture. I must explore Filipino food more. This looks scrumptious and physically reminds me of challah. The slight sweetness you speak of makes me think of Hawaiian bread. It definitely is similar to Hawaiian bread! And I just bought some challah today so I'm looking forward to diving into that! That must be new since I lived in the area, but it sounds heavenly! Oh, it is heavenly! The baking bread scent is just wonderful. I am a big bread lover, so these sound wonderful to me! I particularly like the sound of the Ensaymada, as sweet bread is something that I find utterly delicious. Thanks for sharing this with us! I love bread products, too, so if you like bread as well, then definitely try some of this! 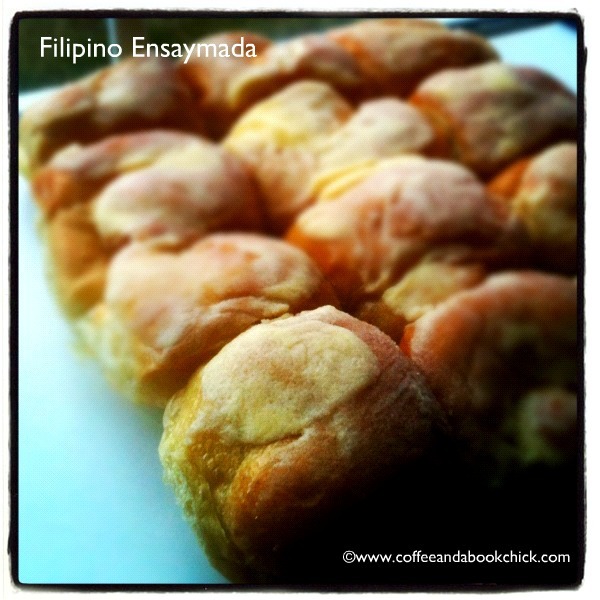 The ensaymada is delectable without being overbearingly sweet. Yum! I could live on bread and pasta. One of my best friends from grad school is from the Philippines and while she hasn't mentioned this particular pastry, there are others she raves about regularly. This looks absolutely delicious!!! Thanks for sharing, Natalie! Uh oh, I think I know what my next bread baking venture is going to be. Both of these breads sound heavenly. I bake bread several times a week -- and there are only two of us. Yummmm. I'm not familiar with this type of food, but it looks delicious! I love pastries that are more bread-y and less sweet, so it looks to be right up my alley. Yum! I have never heard of these, but I will keep my eye out for Filipino bakeries; these look heavenly! I'm not sure I've ever had food from the Philippines and wouldn't have guessed baked goods as a specialty. These look divine! Oh my goodness, these sound great! I'm going to hunt down a recipe and put them on my to-make list. Yum! They both look delicious. I love sweet bread and rolls. I wish we had a bakery like that! Your description hit all my senses. My mouth is watering and I swear I can smell fresh bread. These sound delicious! My aunt is Filipino, and makes wonderful food. I may have to ask if she has some bread recipes to share! Love warm bread and butter!! Oh, yum! These look delicious!! I'll have to make a note to visit Angie's Bakery next time I'm in VB.